In another major leap forward for industrial hemp in the USA, the country’s Senate has passed the Agriculture Improvement Act of 2018 (Farm Bill), which includes the Hemp Farming Act of 2018. The Act, introduced in April, legalises hemp as an agricultural commodity and removes it from the federal list of controlled substances. Among its other features, it gives states control of hemp production and enables hemp researchers to apply for federal grants from the USDA. Support for the Hemp Farming Act of 2018 quickly ramped up, with Senators seeming to fall over themselves in a race to be co-sponsors; including U.S. Senate Minority Leader Charles E. Schumer. It was then included in the Senate Farm Bill in June. U.S. Senate Majority Leader Mitch McConnell, who introduced the measure, was very pleased with the Bill passing, particularly for the positive impact an expansion of industrial hemp could have in his home state of Kentucky. According to Wikipedia, the first hemp crop in Kentucky was cultivated near Danville in 1775 and the state was the USA’s biggest producer of hemp in the 19th and 20th century, before prohibition kicked in and the crop disappeared from the state. However, a hemp sector of sorts restarted a few years ago, made possible through allowances made in the 2014 Farm Bill allowing for hemp research. Kentucky kicked off with just 33 acres in 2014 and last year 12,800 acres was in production. According to Senator McConnell, hemp recorded more than $16 million in product sales through the state’s pilot program last year – but this is just a drop in the bucket of what the crop could bring in for the state. 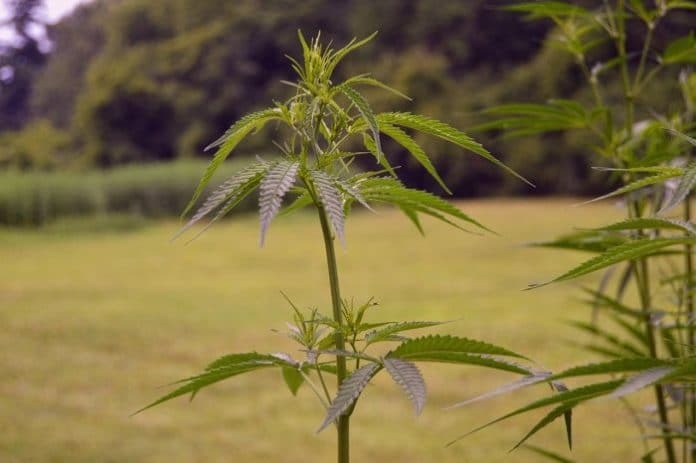 “This Farm Bill will allow state departments of agriculture, like Kentucky’s, to unleash the full economic potential of industrial hemp pilot programs,” said Kentucky’s Commissioner of Agriculture, Ryan Quarles. As for what’s next for the Hemp Farming Act of 2018, a conference committee comprised of members from both chambers will now need to reconcile the Senate and House versions of the Farm Bill. The Agriculture Improvement Act of 2018 (Farm Bill) passed with an 86-11 vote.